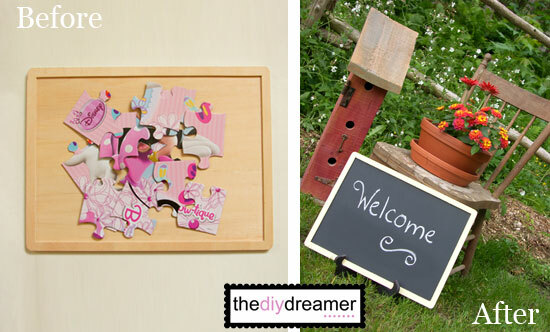 Save your old puzzle board and transform it into a chalkboard. Yes that’s right!!! 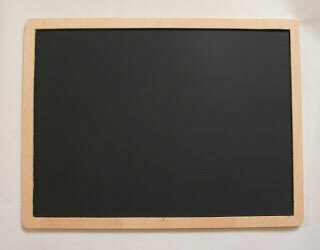 You can transform it into a Chalkboard!!! Lightly sand your puzzle board. 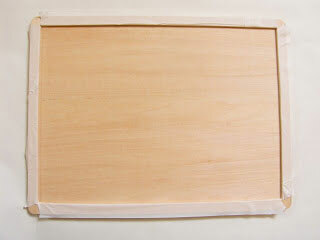 Put masking tape around the sides of your puzzle board. 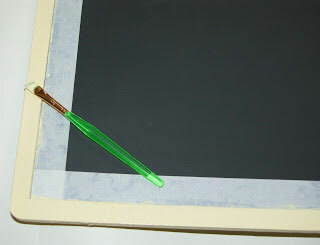 This is to prevent the chalkboard paint from touching the sides when you are painting. 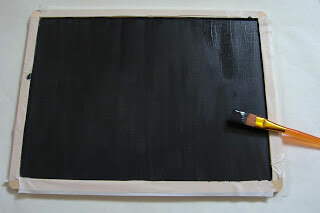 Paint your puzzle board with chalkboard paint. I gave mine two coats. Once it’s dry take off the masking tape. 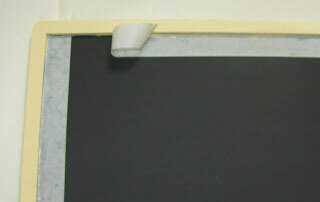 Put some masking tape on the inside of the puzzle board to prevent your paint from touching the chalkboard. Paint the sides of your puzzle board. 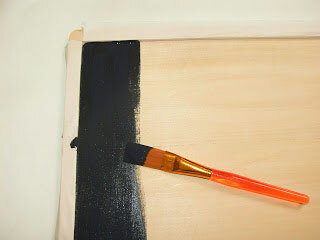 I applied two coats, then I lighted sanded the sides again and then I applied a third coat. 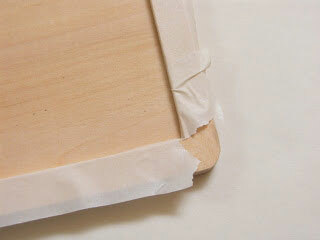 Remove the masking tape as soon as you have finished painting the sides of the puzzle board. Love it! We must have a billion of those things. Of course I’m super OCD about keeping track of all the pieces, so we haven’t lost one yet! When we do… I could use that to write prices on when I sell my products at an event! You’re my hero! Totally trying this as soon as I can! Great upcycle and beautiful vignette to show it off, Christine! This is fabulous! Great job, Christine!!! 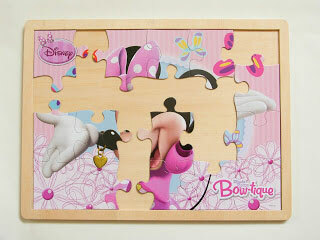 We have a particular puzzle that the girls just love that is missing some pieces. Right now it’s only 2 pieces, so I’m giving them a chance to resurface. But if they don’t, I am definitely doing this!!! Such a good idea, Miss Smarty! That’s fabulous!! 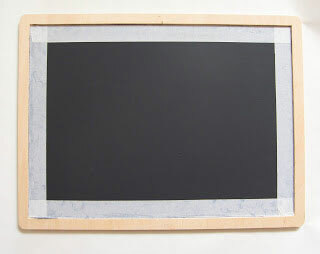 I’m going to have to try this out.. I’ve been wanting to make a chalk board for my son to draw on and this seems so simple and fun! Thanks for sharing!! Great idea! Love the face on your cutie too! Thanks for sharing at our Pinteresting Party. Oh wow this repurposed project rocks! What a great tutorial! We would LOVE for you to stop over and link this post up and any others in our Crafty Showcase. Our showcase runs from Sat-Thur and then on Friday our designers pick their favorite to be featured. Cute idea, Christine! Because, really, what can you do with them once there are puzzle pieces missing. 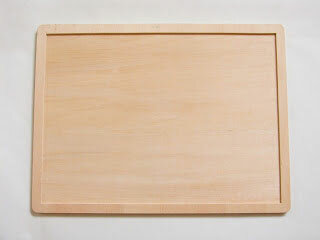 Makes for a great little chalkboard. SUPER idea…we have a ton of those. Good thinking! So glad you shared at Shine on Fridays! Very clever remake and wonderful turned out, really nice. What a great way of upcycling! I love finding new ideas for things! That is a great idea of how to use the board! Love it! Are you kidding me?? Best idea ever!!! Awesome way to reuse what you have! I love how it looks like it’s framed. Clever way to reuse. 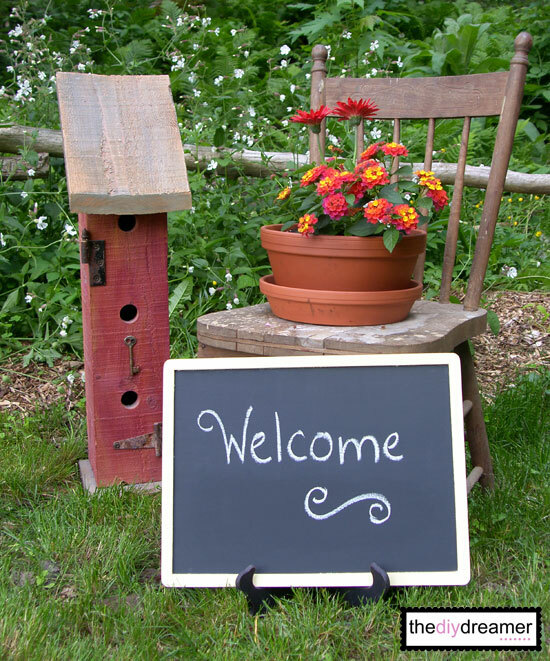 Thanks for sharing at Terrific Tuesdays! This is a great tutorial and fantastic idea. Your little one is super cute! Thanks so much for stopping by Creative Thursday this week. I couldn’t do these parties without you. Can’t wait to see what you link up next week. Have a wonderful weekend. Pinning this! Great idea! Thanks so much for sharing at Mom On Timeout! Great idea! I love how it turned out! Very cute idea. 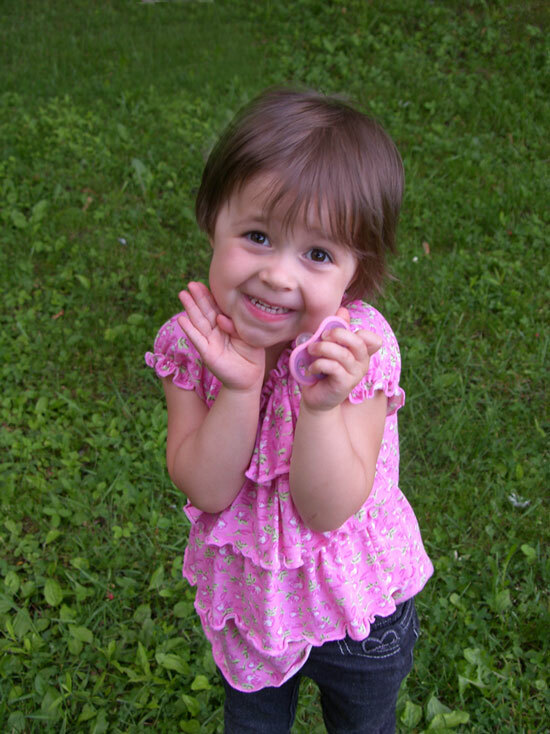 And adorable little girl at the end of the blog…lol. ok really you so rock and that sweet girl is so freakin cute! Awesome idea. Missing puzzle pieces make horrible crutons, it turns out. Such a good idea…I see these at goodwill all the time! and may have a few myself! What a great idea! stopping by via Tator Tots and Jello Linky. Thanks for sharing!